Adeng-Adeng is a cosy family run business on the laid back island of Gili Meno, its bungalows serenely set amid lush tropical gardens with water features, creating a real back to nature ambience. With priority on quality and comfort, the Garden villa offers daybeds, veranda and private garden area with loungers and beanbags for total comfort and relaxation. The bathroom is semi open air to complete the natural experience. 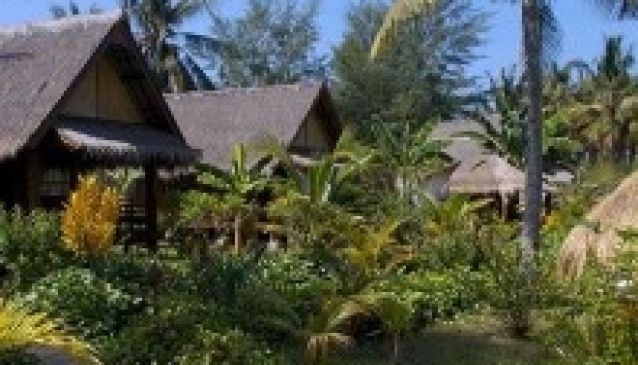 Also offered are 3 AC garden bungalows with private verandas and outdoor bathrooms. Extra beds can be provided. The name Adeng-Adeng literally means slow-slow, and this very much reflects then pace of life on Gili Meno.